Our South Wales team is based in our South West office where they work in partnership with a large number of mainstream and special educational needs and disabilities (SEND) schools throughout the region. 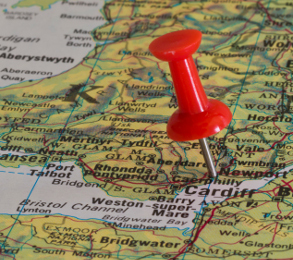 Whether you are looking for work, or seeking help recruiting staff, the Axcis South Wales team are bound to be able to assist. Find out what others say about working for Axcis here. Schools - send us your vacancy here. Candidates - register now to work for Axcis Midlands office. Our South West office is opposite the main entrance of Bristol Temple Meads train station. Stand with Bristol Temple Meads station behind you, with Café Gusto on your right. You will then need to cross the road. Our offices are in the City Point building situated between The Reckless Engineer pub and the furniture shop which has a large green sign. Please enter the building through the glass doors at the front and sign in at reception.